Several studies presented at the 2018 ASCO Annual Meeting helped further refine and inform treatment strategies for the budding class of chimeric antigen receptor (CAR) T-cell therapies, with a focus on predicting adverse events (AEs) and optimizing efficacy. Other studies assessed patient populations for CAR T cell trials, to further establish treatment eligibility criteria. Although the number of prior therapies did not seem to impact outcomes, prior treatment with an anti-CD19 therapy could alter the CAR T cell manufacturing process, although the interpretation of data for this remains unclear. Adding to these efficacy focused findings, data from the ROCKET study, which looked to further establish a patient profile to help predict toxicity with CAR T-cell therapies, was also presented at the ASCO meeting.8 This analysis showed that patients with Philadelphia chromosome (Ph)-like genetic characteristics were highly unlikely to experience grade 4 or 5 cytokine release syndrome (CRS) or neurotoxicity. With the rapid develop of the CAR T-cell therapies, the durability of response and impact on long-term outcomes remains a question of interest, particularly as it factors into a value equation. As data from the clinical trials matures, it is becoming clear that patients experiencing a CR at month 3 to 6 are likely to experience a long-term remission. After 15.4 months of follow-up in the pivotal phase II ZUMA-1 study,1 42% of responses to axi-cel remained ongoing. The median duration of response in the overall population was 11.1 months (95% CI, 3.9-not reached [NR]). In those with a CR, the median was not yet reached; however, patients achieving an initial partial response (PR) had a median duration of response of just 1.9 months (95% CI, 1.4-2.1). The median time to response for axi-cel was 1 month, and nearly half (41%) of the PRs transitioned to CRs as late as 1-year post infusion. At the 15.4-month follow-up, all but 1 response was a CR. The trial showed that if any type of response was ongoing at month 3 there was an 80% likelihood of a continued response at 1 year. For those with a response at month 3 (9 with a PR and 42 with a CR), the progression-free survival (PFS) rate remained 78% at 6, 9, and 12 months for those with a PR. In the CR group, the rates were 88%, 83%, and 79% at months 6, 9, and 12, respectively. 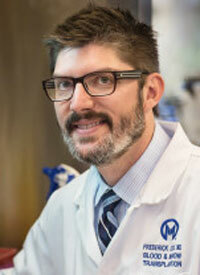 "Similar PFS was observed in patients who achieved PR or CR by month 3," said lead investigator Frederick L. Locke, MD, Moffitt Cancer Institute. "Response to axi-cel, either PR or CR, by 3 months may be prognostic for long-term remission." These findings were echoed in the TRANSCEND trial examining lisocabtagene maraleucel (JCAR017; liso-cel) for patients with high-risk diffuse large B-cell lymphoma (DLBCL).2 In patients treated with a pivotal dose of liso-cel in the core group of patients, 88% who achieved a CR at 3 months continued to have a CR at month 6. Ninety-three percent of patients with a CR at 6 months continued to have an ongoing response. With a median of 8 months of follow-up, the median duration of response in those achieving a CR was not yet reached (95% CI, 10.2-not evaluable [NE]). Those with a PR had a median duration of response of 2.1 months (95% CI, 1.0-5.0). In those achieving a CR, the 12-month overall survival (OS) rate was 89% (95% CI, 72%-96%). In those with a PR, the median OS was 10.3 months and the 1-year OS rate was 33% (95% CI, 9%-60%). "The duration of response curves flatten out after the 3-month point, in both the full and the core datasets," said lead investigator Jeremy S. Abramson, MD, MMSc, from the Massachusetts General Hospital Cancer Center. "Across dose levels, 93% of patients in CR at 6 months remained in response at data cutoff." Focus has also shifted toward predicting which patients will reach a CR, as it implies a longer-term remission, with some patients alive several years following infusion. Some baseline levels have emerged as predictive.